New Delhi: Valentine's Day is just a few days away and the madness has already begun. With couple-friendly contests, freebies, discounted dining options and social media PDA only meant for people in relationships, singles on Twitter cannot help but feels exceptionally down during this dreaded week. Case in point, the Chocolate Day. Chocolate, a universal feel-good eatable, second only to alcohol in uniting people, has become a weapon of romance and the singles on Twitter are not having it. Thankfully, we have memes to combat all the overload of mush spewing on social media. From buying chocolates for themselves to NSFW chocolate-flavoured items and some even highlighting proposal fails like the one below, V-day memes have taken over the Interweb. 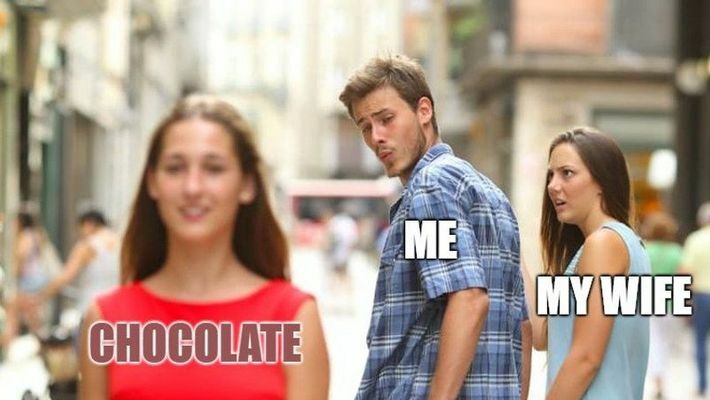 So, reclaim the good ol' chocolate and check out our pick of memes that will give you warm, fuzzy feels if you are feeling the FOMO and crying alone without any chocolates. Which one defines your situation the most?